When feet are swollen, sore or youre suffering from chronic heel pain, an application of cold and/or hot assists in the healing process. 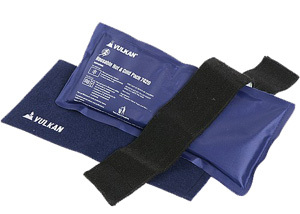 Hot/Cold Packs provide therapy thats constantly in touch with sore muscles, tendons and tissue. Microwave or freeze the packs depending on the desired treatment cold therapy is especially beneficial in the treatment of plantar fasciitis (heel pain). Apply cold therapy initially and heat therapy when the heel is in the healing phase.